Quite silent so far, the only way is up. 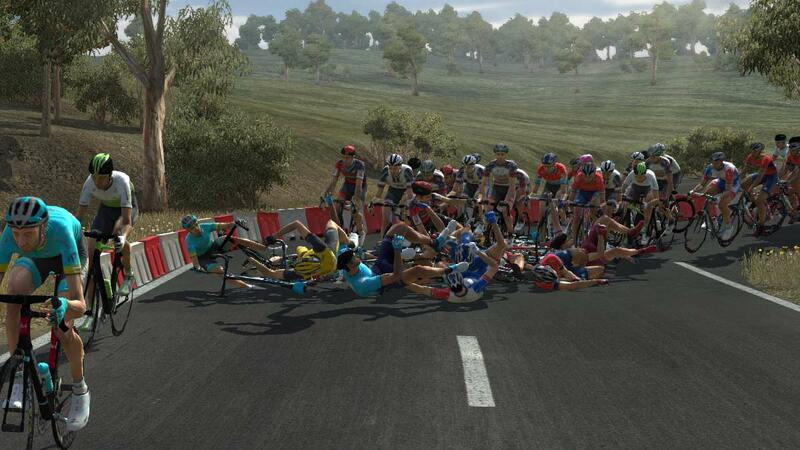 @sutty68: Indeed, but sadly not a rider equipped for the harder KoM climbs. 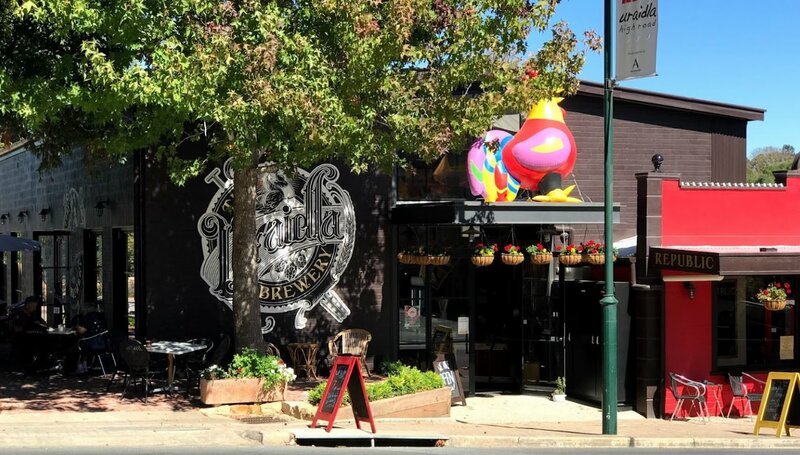 The 4th stage start in Newton a suburb 10 km north-east of central Adelaide and it finish in Uraidla a small town at Adelaide Hills. Home of a school a hotel a cricket club and a population of about 500 people. The old church transformed to a wine bar serving a wood-oven pizza. The stage will be the first categorized as hilly and thereby the first likely to create some time differences, but the climb at Old Norton Summit Road is not too hard to exclude the hilly sprinters from mixing with the punchers. 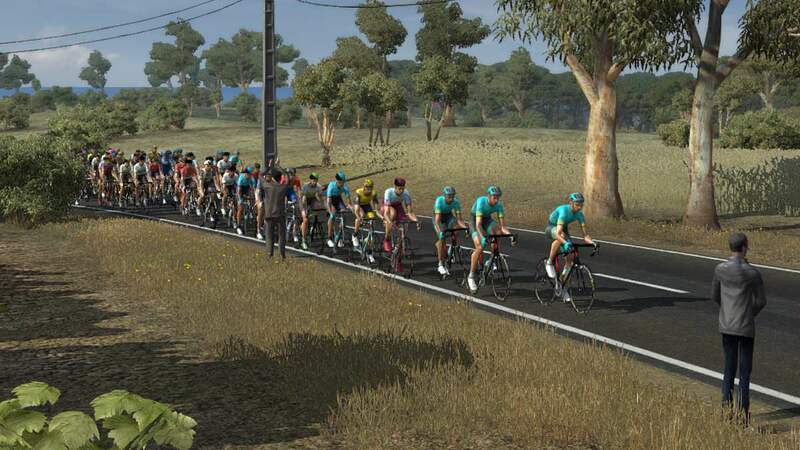 Silvan Dillier	(AG2R) have attacked slowly he is getting closer to the riders in front. 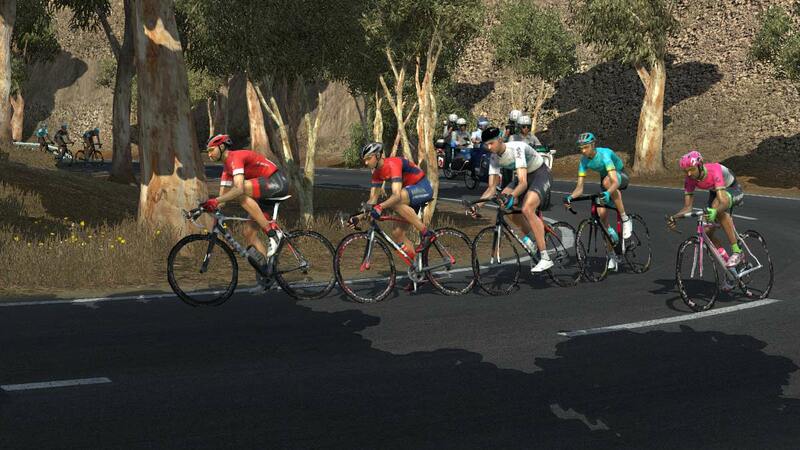 At this point the peloton is at 2’30” seemingly satisfied with the breakaway. 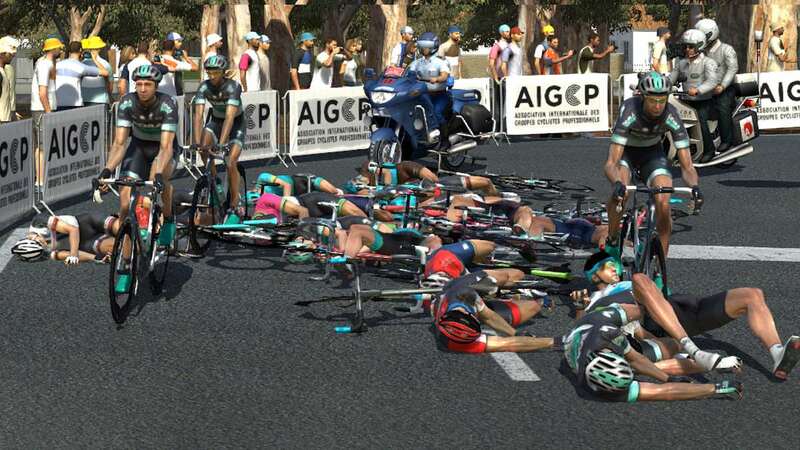 About 12 km ago we had a series of very bad crashes, resulting in a chaos with many groups, worst hit a group of 41 riders with Alejandro Valverde, Philippe Gilbert, Daniel Martin, Michael Matthews and Bob Jungels losing 2 minutes to the yellow jersey. They all got back but it is impossible to say how fit they are. 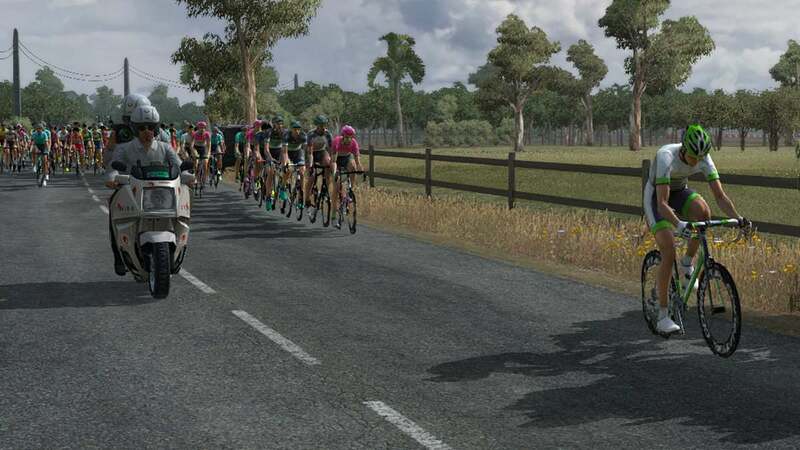 The breakaway splits as Silvan Dillier attacks 20 km out, in the end only Sergey Chernetckii and Silvan Dillier passes the KoM just a few seconds in front of the peloton. 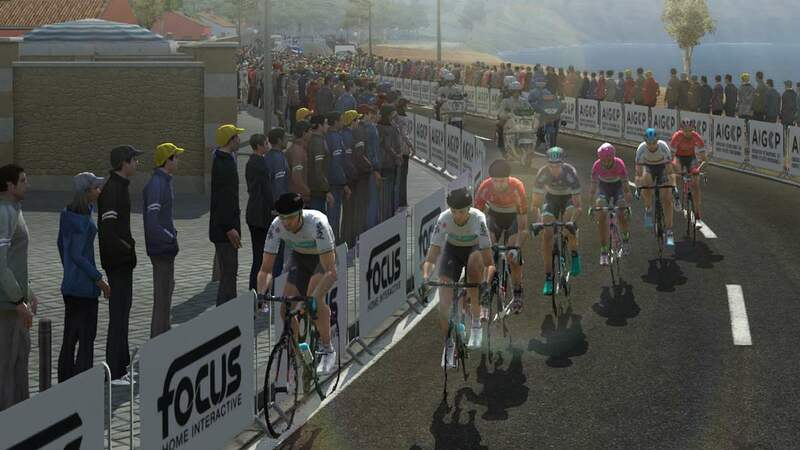 A great stage for us, Omar Fraile taking our first season win, tomorrow we got the leader jersey, will be a very different story now having to control the race. 3 Alejandro Valverde Movistar Team s.t. 4 Tom Jelte Slagter Team Dimension Data s.t. 6 Michael Matthews Team Sunweb s.t. 7 Ben Swift UAE Team Emirates s.t. 8 Daniel Martin UAE Team Emirates s.t. 9 Marcel Sieberg Lotto Soudal s.t. 10 Simon Clarke Team EF Education First - Drapac p/b Cannondale s.t. 11 Hugo Houle Astana Pro Team s.t. 20 Jan Hirt Astana Pro Team s.t. 30 Sergey Chernetckii Astana Pro Team s.t. 5 Marcel Sieberg Lotto Soudal s.t. 7 Caleb Ewan Michelton - Scott s.t. 8 Yukiya Arashiro Bahrain - Merida s.t. 10 Tom Jelte Slagter Team Dimension Data s.t. @redordead : Thanks! Got the impression that the bunch was sort of undecided, and made his move. Well, that was definitely a great way up. Surprising win but well done on the stage and the jersey! @sutty68: Thanks, with way better punchers in the race, will be tough to hold the lead at the queen stage. Stage 5, the traditional stage with with finish at Willunga Hill, since 2011 with start from McLaren Vale, the stage will run at circuits between McLaren Vale, Snappers point at Aldinga Beach and Willunga Hill, Willunga Hill count as category 1 both at the KoM sprint and at the finish line. Clearly the hardest stage of the race, stage 5 must be expected to shake the GC, race leader Astana likely to do most of the chasing to avoid losing the race to a breakaway. 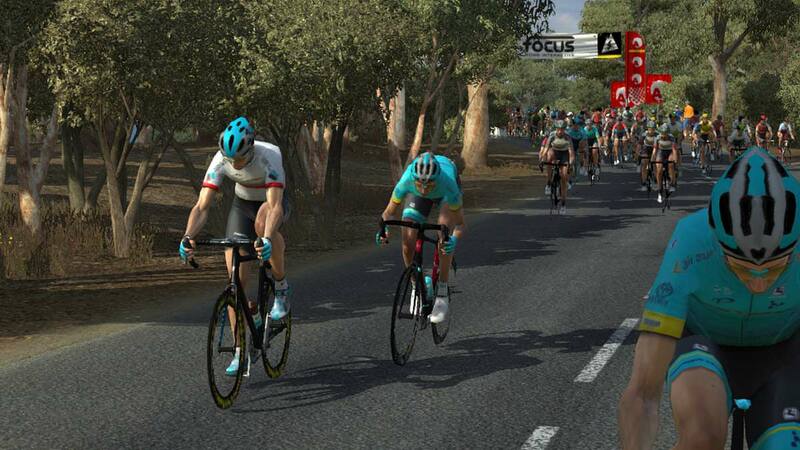 We have got a breakaway of 7 rider, including two Sky riders Vasil Kiryienka and Ian Stannard, the others are Silvan Dillier (AG2R), Brendan Canty (Education First), Lars Ytting Bak (Lotto Soudal), Aleksejs Saramotins (BORA) and Fumiyuki Beppu (Trek – Segafredo) at this point they got 32”, the dangerous break have forced the peloton to chase hard, several teams sending riders forward to participate. The best places riders in the breakaway are Kiryienka 27th at 39”, also Lars Bak and Silvan Dillier has the same time. 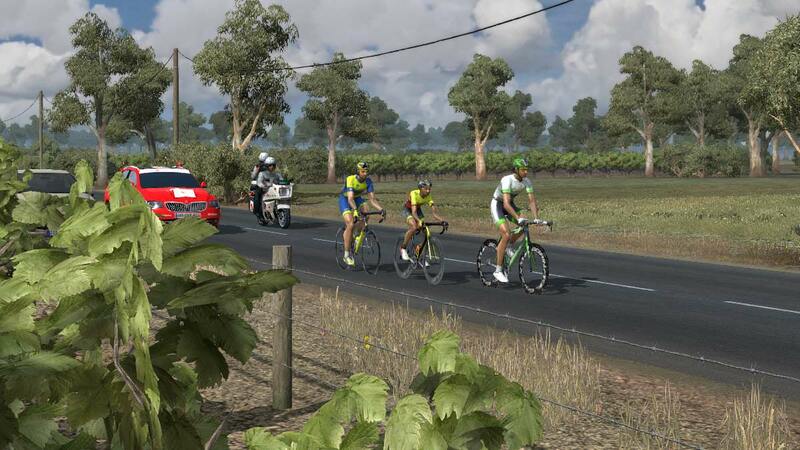 With 98 km to go Michael Albasini	(Michelton) had a puncture forcing 5 teammate to go back and close the 1’43”. 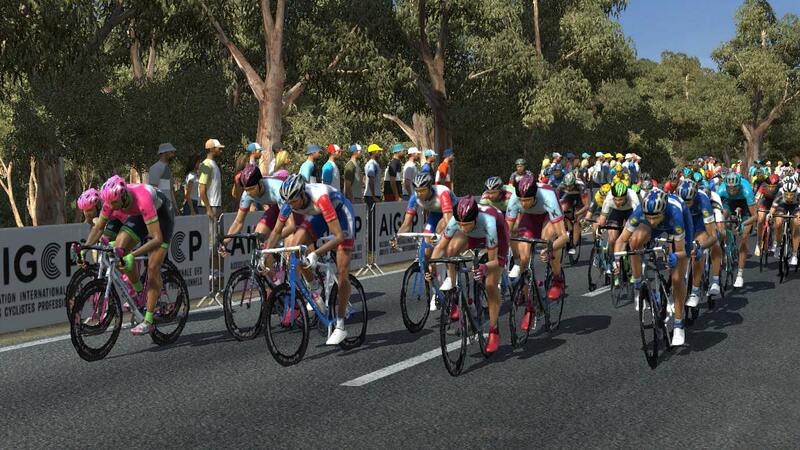 We got 28 km left to the first KoM sprint at Willunga Hill, distance 1’43”, peloton speed about 42 km/hour, wind speed at the coast 15 km/hour, inland about 12 km/hour. Silvan Dillier attacked from the bottom of the KoM, Lars Ytting Bak looking very strong caught up, while everyone else was brought back, the duo has 42” with 2 km to the top. The peloton was very fast, but Lars Ytting Bak just barely managed to stay ahead with a few cm, just enough to win the KoM sprint. 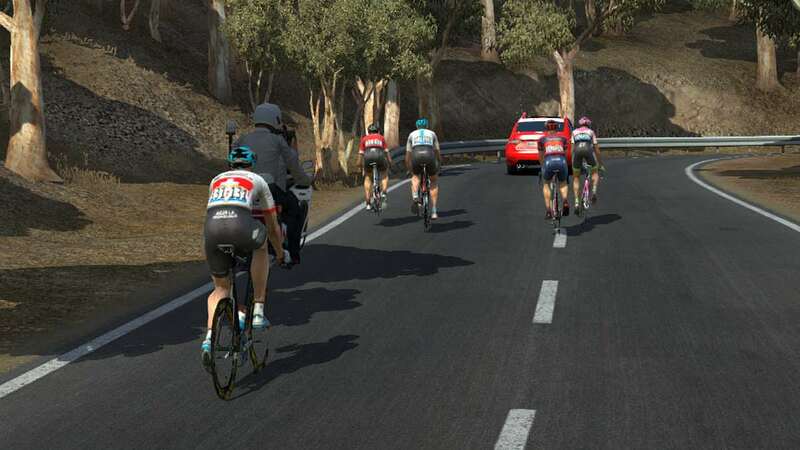 A large peloton hit the final climb together more than 100 riders, but soon the selection begins reducing the leading group to just 18 riders. Bob Jungels (Quick-Step Floors) attacks from 2 km, Daniel Martin (UAE Team Emirates), Ben Swift	(UAE Team Emirates) and Dylan Teuns (BMC Racing Team) follows. Ben Swift can’t keep up, but Alejandro Valverde comes superfast from behind, under the red kite they have about 20 sec to the yellow jersey. 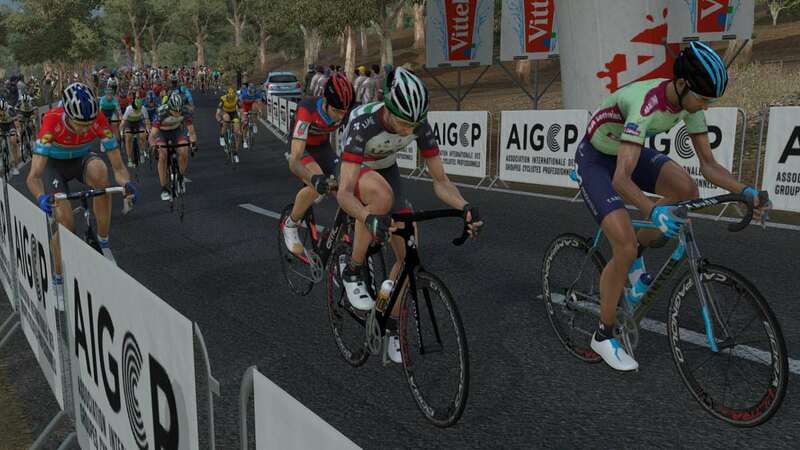 It comes to a close finish between Alejandro Valverde and Bob Jungels. 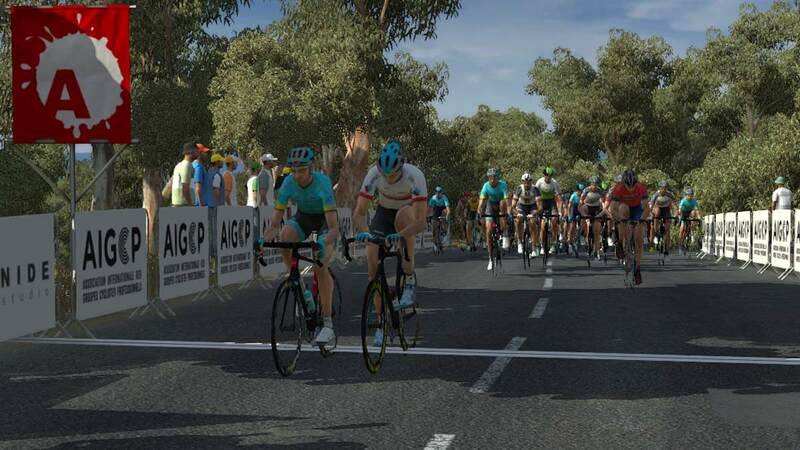 The 38 years old Movistar veteran wins at Willunga Hill and taking 19” plus bonus on the yellow jersey, he also takes the race lead. 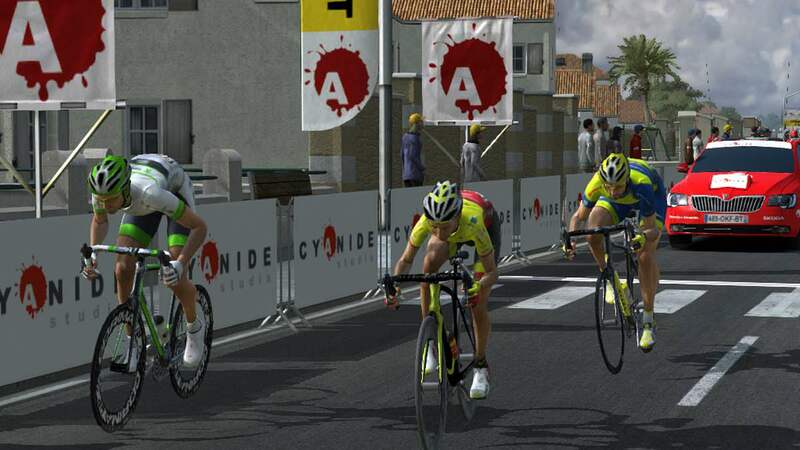 We lost the yellow jersey, but we knew it would be a tough day. 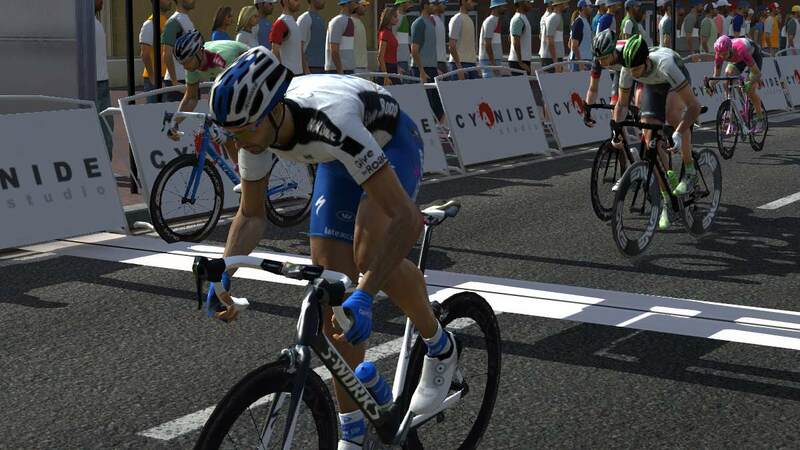 Isolated a good stage result with two riders in top 10. 2 Bob Jungels Quick-Step Floors s.t. 3 Daniel Martin UAE Team Emirates s.t. 4 Dylan Teuns BMC Racing Team s.t. 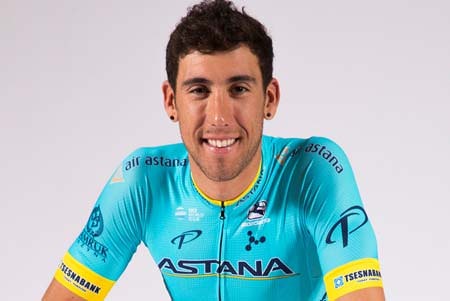 6 Omar Fraile Astana Pro Team s.t. 7 Jan Hirt Astana Pro Team s.t. 8 Wilco Kelderman Team Sunweb s.t. 9 Steven Kruijswijk Team Lotto NL - Jumbo s.t. 8 Jan Hirt Astana Pro Team s.t. 9 Wilco Kelderman Team Sunweb s.t. 10 Steven Kruijswijk Team Lotto NL - Jumbo s.t. 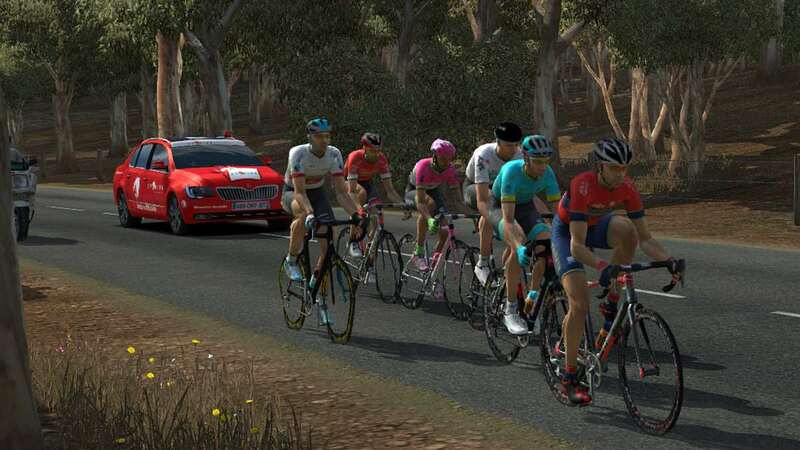 Just as traditional as Willunga Hill is the short flat final stage in Adelaide city, this stage has been in every edition of the race. Unlikely to affect the GC, it is all about the final mass sprint, unless of course a breakaway makes it, but probably they won’t. 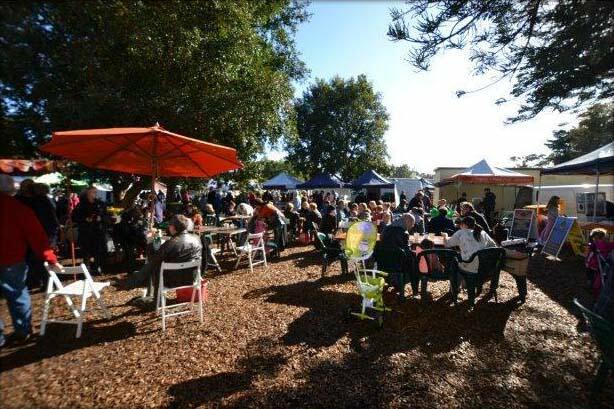 The stage is raced as 8 laps on each side of The River Torrens (Karra wirra-parri) from Victoria Square through King William Street to Adelaide Park Lands and back. Best placed in GC is Van Baarle 55th at 5’04”, but more importantly he is also best placed in KoM with 6 points, he can win the overall KoM today. Astana also had good card to go for the KoM this morning with both Jan Hirt and Hugo Houle and they did try, but in vain. Now we have got a crash of 23 riders down or blocked, best placed in GC Rudy Barbier 29th at 1’51”. 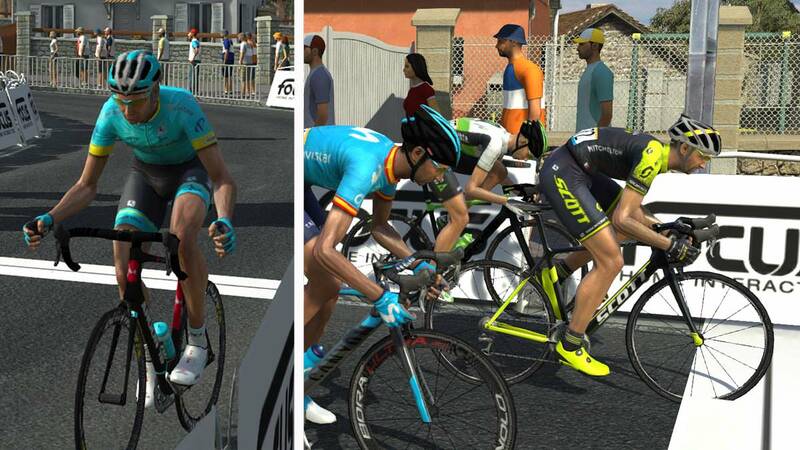 Astana worst hit with 3 riders Hugo Houle, Nikita Stalnov and Sergey Chernetckii. The crash forces Enzo Wouters (Lotto Soudal) to abandon with a broken hand. 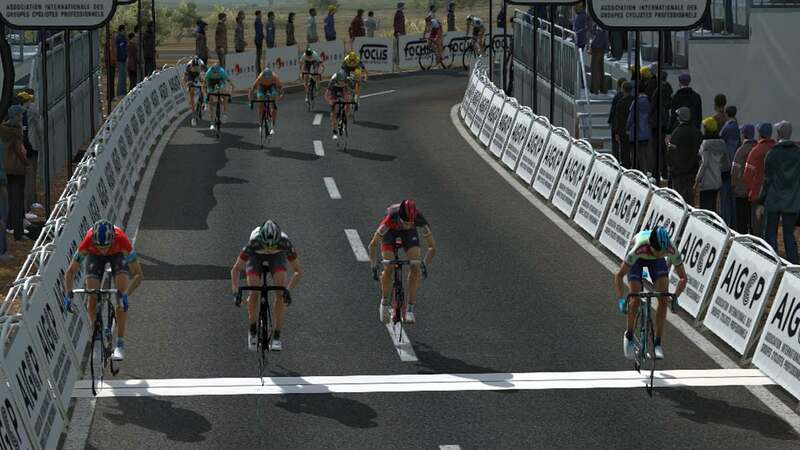 The breakaway was caught late some 6 km before the finish. Now the sprinter trains are almost side by side, EF Education First for McLay, Groupama – FDJ for Démare, Katusha Alpecin for Marcel Kittel and Quick-Step Floors for Gaviria. 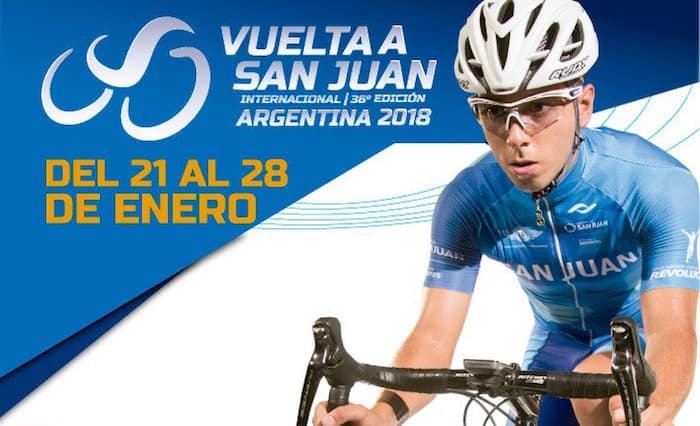 With 300 meters it is Fernando Gaviria and Arnaud Démare side by side, but the Columbian has much more left, he wins in Adelaide with at least a cycle length. 2 Arnaud Démare Groupama - FDJ s.t. 4 Ben Swift UAE Team Emirates s.t. 5 Daniel McLay Team EF Education First - Drapac p/b Cannondale s.t. 6 Marcel Kittel Team Katusha Alpecin s.t. 7 Nathan Haas Team Katusha Alpecin s.t. 8 Ariel Maximiliano Richeze Quick-Step Floors s.t. 10 Marc Sarreau Groupama - FDJ s.t. 41 Oscar Gatto Astana Pro Team s.t. 77 Jan Hirt Astana Pro Team s.t. 99 Bakhtiyar Kozhatayev Astana Pro Team s.t. 8 Ben Swift UAE Team Emirates s.t. 17/1 Ruslan Tleubayev was injuried in training; a broken hand will keep him out for about a month. 21/1 Omar Fraile won a stage in Giro last year, but 2nd in TDU was definitely his best GC result ever. We congratulate and appreciate what he has achieved. 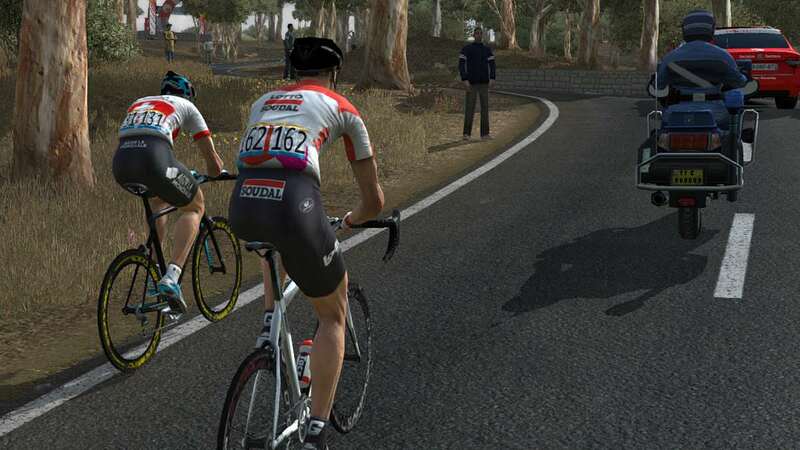 I’m afraid to make unrealistic good result, based on the 2nd in TDU. So from here I will ride on EXTREME. Compensating a little I have up’ed Fuglsangs ITT, based on his good result in Tour de Suisse. But it is not much we are at Gorka Izagirre level, I believe currently that is realistic. Michael got a minimal boost in COB, and Cort a minimal boost in sprint. I have not changed their max'd-out levels. Expectations: Form is not too good, but with a strong mountain squad in Fuglsang, Cataldo and Hansen we expect to podium this race, the squad is supposed to focus 100% on Fuglsang’s GC. 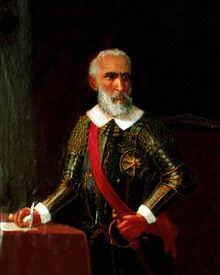 The first stage starts in San Luis about 790 km west of Buenos Aires, founded in 1594 by Luis Jufré de Loaysa y Meneses, after whom it took its name. The settlement was abandoned after two year, not to be resettled until 1632. 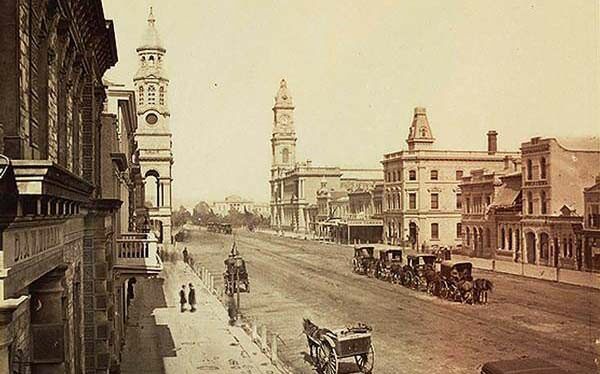 The stage finish in Villa Mercedes a city of about 100.000 founded in 1856. 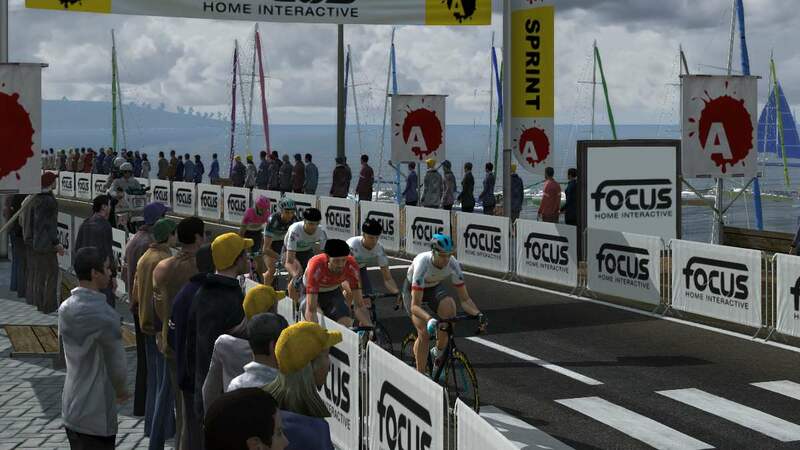 The stage is mainly flat and with no KoM sprints, the two point sprints of the only interruption before a likely mass sprint finish. The original breakaway was three riders and the peloton was clearly content with a small breakaway like this, there was not much fighting this morning. Combined result of sprint in Fraga and Villa Mercedes. The last riders from the breakaway Arnaud Gérard is caught unusually early, with 30 km left could provide options for others to attempt something. There were no more attacks and the sprinter teams had lots of time to organize the trains. It is BORA leading but also Vital Concept’s train on their left. 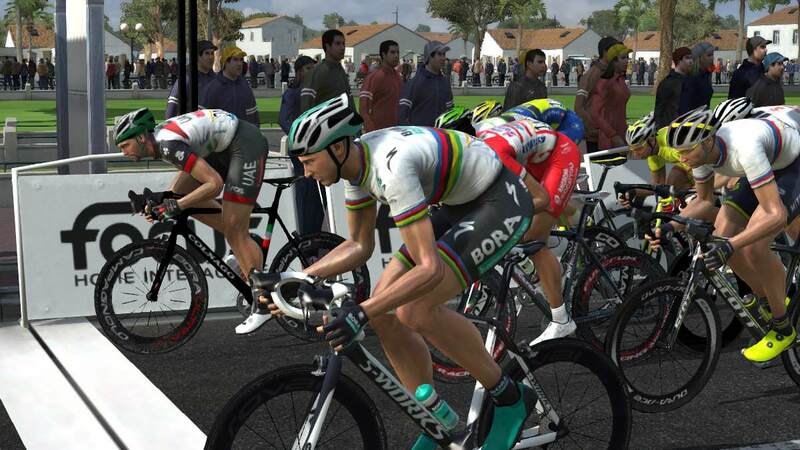 Vital Concept’s train can’t keep to with BORA, under the red kite it is Selig leading Sagan, on his wheel Alexander Kristoff and Manuel Belletti. 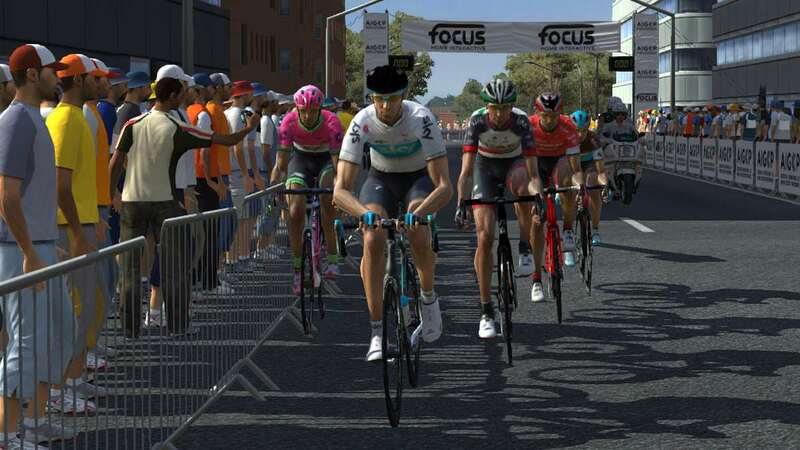 The hard work from BORA paid off, Peter Sagan win’s in Villa Mercedes. A quiet ride without any problems. 3 Manuel Belletti Androni Giocattoli - Sidermec s.t. 4 Laurent Pichon Team Fortuneo - Samsic s.t. 5 Andrea Guardini Bardiani CSF s.t. 6 Luka Mezgec Michelton - Scott s.t. 7 Kenny Dehaes WB Aqua Protect Veranclassic s.t. 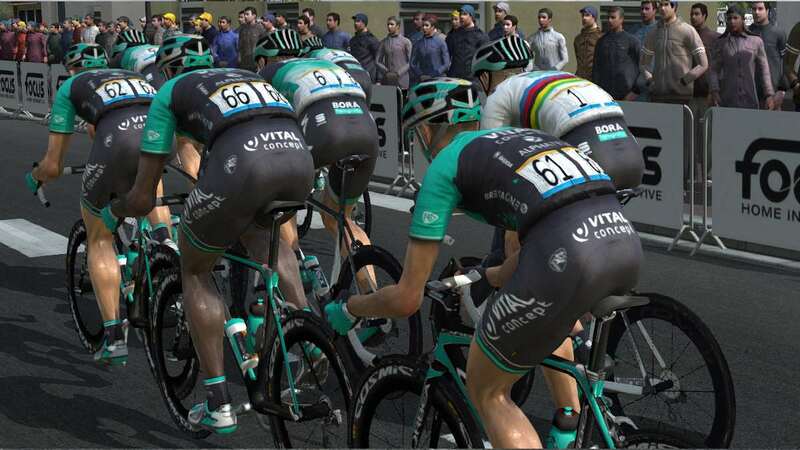 8 Bryan Coquard Vital Concept Cycling Club s.t. 9 Nikias Arndt Team Sunweb s.t. 10 Kristian Sbaragli Israel Cycling Academy s.t. 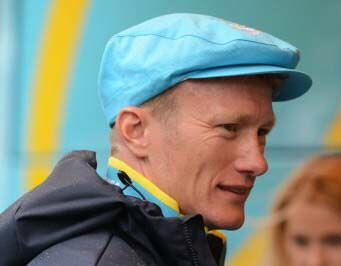 50 Andriy Grivko Astana Pro Team s.t. 51 Davide Villella Astana Pro Team s.t. 52 Jesper Hansen Astana Pro Team s.t. 53 Jakob Fuglsang Astana Pro Team s.t. 61 Andrey Zeits Astana Pro Team s.t. 65 Dario Cataldo Astana Pro Team s.t. Yes amazing result, very happy with that. +1 Pls Omar carry this form over to the Man-Game.